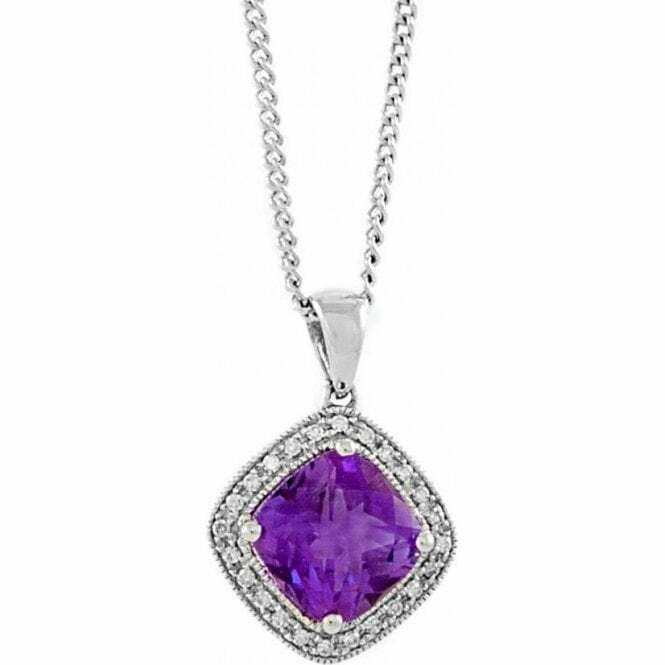 PENDANT: 18 CARAT WHITE GOLD SET SINGLE AMETHYST WITH DIAMOND SET SURROUND. FACETTED CUSHION SHAPED AMETHYST WEIGHT 1.48 CARATS. DIAMONDS TOTAL WEIGHT 0.07 CARATS. WITH 18 CARAT WHITE GOLD CURB LINK CHAIN.